http://newiprogressive.com/images/stories/S5/scott-walker-photo-jeramey-jannene-2018-02-09-s5.jpg Former Walker Cabinet insider reveals how the Governor’s lack of ethics and continued efforts to conceal the operations of government from public view stopped him and others from providing the best, cost effective services to Wisconsin's citizens. MADISON - In Wisconsin, a litany of stubborn facts is helping define the race for governor between Scott Walker and the state’s school superintendent, Tony Evers. As a life-long conservative, I once thought Walker was the answer. However, after serving in his cabinet as Secretary of the Department of Corrections, the state’s largest cabinet agency with more than 10,000 employees and a $2.5 billion budget, I was taught an invaluable lesson on ethics, and how the lack of them impacts government operations. As a career law enforcement officer and public servant, the driving force behind my personal beliefs revolved around integrity; doing the right thing, at the right time and for the right reason. That core belief would unfortunately run afoul of Walker’s political ambitions and his administration’s continued efforts to conceal the operations of government from public view. 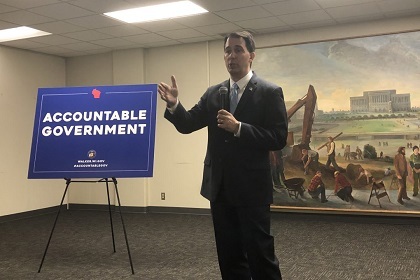 This propensity to avoid the law and accountability became so clear that four cabinet secretaries who were appointed by Walker felt compelled to publicly call out his unethical actions. Let that sink in for a moment. Not one, not two or three, but four cabinet secretaries, or one third of his cabinet, who were chosen by Walker because of their skills and abilities. It was ethics, not partisan motivation, that drove us to step forward to let the public know that the polished politician they were watching in countless TV ads was actually a charlatan with only one motive: get reelected at any cost. In the perfect world, government should be concerned with providing the best, cost effective services for its citizens. As leaders, we should be asking how can we do this better, not who did you vote for. Walker demonstrated time and again that the only thing he wanted from his cabinet secretaries were devoted admirers and cheer leaders. 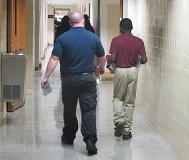 He had no use for leaders who might have ideas that would improve educational services, address transportation issues, create accountability or protect families. What we found instead was that if your considered and educated opinions ran afoul of his political talking points, your future in the cabinet was going to be short lived. Walker stated publicly when pressed by the media about his cabinet secretaries coming out against him that he “didn’t want yes men” in his cabinet and welcomed differing opinions. Really? His words contradict a demonstrated proclivity to shun anyone who might actually have considered opinions with facts to support their positions. Walker expects the public to believe that his secretaries, who took the unprecedented step of coming forward to denounce him, were “yes men”. That’s interesting since he is now on his third corrections secretary in less than two years. Is that because the previous secretaries agreed with how he was running government operations? No. We separately came to the realization that we could not serve a governor whose indifference to ethical behavior and responsible government was so evident. When I became aware of the allegations of youth prisoners being potentially abused by state employees at the state’s juvenile correction institution, I immediately notified Walker and called in the state Department of Justice and Attorney General Brad Schimel. The allegations were not something that could be ignored and demanded the most robust response possible. Unfortunately, that would not be the position of Walker or Schimel. Schimel’s anemic response to the crisis was to assign a single special agent to investigate the case on a part time basis for many months, while refusing to share information with the Department of Corrections on their progress. Simultaneously, the governor and his staff refused to push for resolution, as they seemed more annoyed with the problem because the story was constantly in the news as Walker floundered in his presidential bid. It was not until just before leaving my cabinet position that I learned Walker had been warned about the Lincoln Hills issues by a judge 10 months before I was even appointed. The governor just never thought that was something I should know about. Ultimately, I came to the conclusion that Walker and Schimel had conspired to bury the investigation for political reasons. Walker’s administration maintained a manic obsession with not creating or maintaining records. Instead, they worked hard to manipulate the open records laws in their favor. For example, at the height of the Lincoln Hills affair, after Walker had ignored our pleas for help for nearly a year, Walker’s chief of staff called and advised that he was going to draft a letter to me, instructing me to take actions to address the Lincoln Hills issues. My staff and I were dumbfounded. This was the administration that had done everything possible to avoid getting involved with the Lincoln Hills issues. He was going to now write me a letter that would undoubtedly try to look like the governor’s office was galloping in to take control of the situation that they went out of their way to avoid. The chief of staff asked me to come to the capitol to help draft the letter he was going to send me, because we could not create an email trail to show the absurdity of the exercise. Ultimately the letter was drafted and the chief of staff advised he would email it to me, explaining that it would then be creating a record that he could release promptly to the press demonstrating the governor’s leadership on this critical issue. He then instructed that I should draft a response letter outlining what we had done to respond to the governor’s instructions. When I had the draft completed, I was to call him on his personal phone and read it to him. When it was approved, I would then send it by email to create another record the governor’s office would promptly release, demonstrating his command of the situation. All of this from the governor who refused to even visit a prison during his eight years in office. He said that he “saw no use in it” and “those people will only show you what hey want you to see”. He saw “no use” in learning more about the largest cabinet agency operations. He time and again demonstrated his disregard for “those people” that were state employees, who he went to war against eight years before with his divisive Act 10 legislation that dismembered state employee representation. You see, Scott Walker was always more interested in visiting businesses and entities that might donate to his campaigns, rather than the backbone of state government service. If you had a checkbook, you had Scott Walker’s attention. If you had integrity, honest desire to improve government operations or ideas that were supported by studies and evidence, you were “those people”. Perhaps never in the history of our state have four former cabinet secretaries come forward to call attention to unscrupulous and deceitful actions by a governor, let alone endorse his opponent from a different political party than we had all associated ourselves with. Each of us joined the Walker administration because we believed he wanted to do what was best for Wisconsin. What we found was a purely political machine that looked at the governor’s office as simply a springboard to higher office beyond the state’s borders. Ultimately, Scott Walker’s hubris and lack of a moral compass are what has defined him and inspired those he chose to lead the state’s most critical agencies to step forward and declare that the emperor has no clothes. Ed Wall was a 32-year career public safety professional who served as the Administrator of Wisconsin Emergency Management and Secretary of the Wisconsin Department of Corrections. In August 2018, he released his book Unethical; Life in Scott Walker’s Cabinet and the Dirty $ide of Politics.